Did you know that your garage door is the largest and heaviest moving part of your home? It is indeed. That being said keeping, keeping you door running smoothly is not only an essential part of protecting your home, but for the safety of you and your family. Garage Doors offer protection, security and value to your home. I mean heck, we know that many people use their garage door as their front door, or a main entry point for their home. The Parker Garage Door family has been in the garage door industry for over 20 years, and let’s just say we’ve seen A LOT! This includes the improvement in garage doors and technology. We have serviced, installed and repaired thousands of garage doors in Phoenix and Lake Havasu, and can say that we know garage doors. 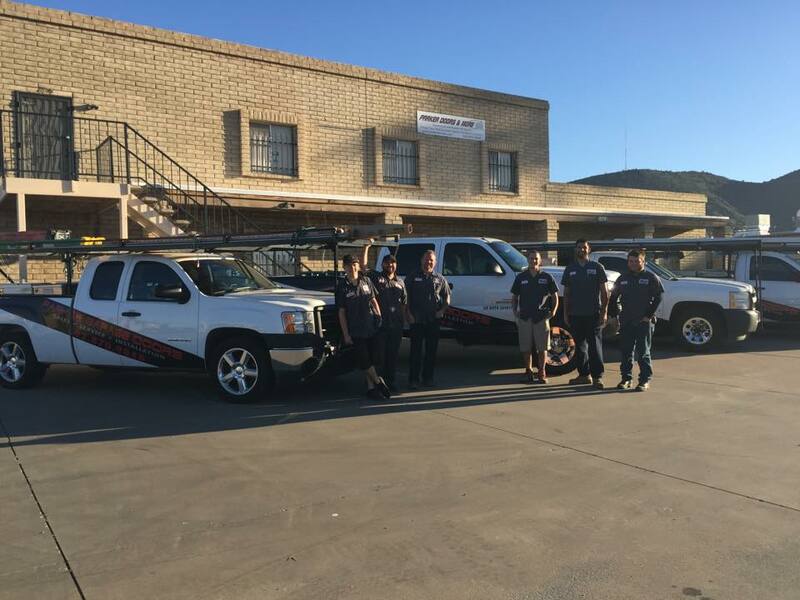 If you find yourself in need of a few garage door springs replaced, new panels, a basic tune up, 20 commercial roll up doors for your business, or even a carport turned into a garage, our team will take care of you! We are loved by our customers, have top rated reviews and repeat customers that have been with us since the beginning to prove it! Quality, reliability, and trust are words we live by. Please do not hesitate to contact us for any of your garage door needs. We are available 24/7 for emergencies and offer same day service appointments. We offer garage door service to the entire Phoenix metro area, Lake Havasu, and Parker, AZ 24/7, 365 days a year. If you have a major garage door issue in the middle of the night, or the wee hours of the morning, call Parker Garage Doors. Our technicians are ready and equipped to handle your garage door problems at any time of the day. Broken opener or spring at 2am? No problem, give us a call. When it comes to garage door spring replacement, you can’t go wrong when you choose Parker Garage Doors. Garage door spring replacement is one of the most commonly needed services. Springs wear out over time and just need to be replaced. We offer 24/7 same day appointments, quality work and affordable service. Our team of trained technicians will come out to your location to replace or repair your damaged springs on the same day. We also include lifetime warranties when we replace both springs. 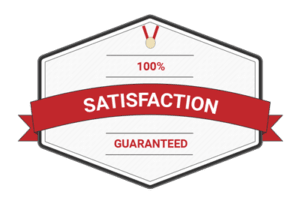 With our transparent, honest pricing and lifetime warranty on springs, you can be sure you will always get the best service from a company that cares. At some point, your garage door opener may give out and it may either need to be repaired or replaced. Well you know who to call! We work with top quality brands, including LiftMaster Garage Door Openers Genie Openers and more. We can assist with programming, deciding between a 1/2 horsepower motor or a 3/4 horsepower motor, the pros and the cons between chain drive and belt drive, what functionalities you need from basic to more advanced and more. We service the entire Valley, from Phoenix to Lake Havasu and Parker, AZ. We have a great team of trained technicians that are available around the clock. So give us a call today! A broken garage door cable or a door that has come off it’s track can be a real pain. PGD has the resources and experience to repair or replace your garage door cables or get your door back on track. aWe have a full team of garage door service specialists available 24/7 to repair troubleshoot, diagnose and repair cables, tracks and more. With our honest and transparent pricing you can’t go wrong. Contact us today for a to schedule service. Check out our current garage door coupons here. Building a new home or looking to upgrade your current garage door? We have the experience and resources to help you find the exact garage door that you’re looking for, while staying within your budget. Our installation technicians will make sure your new garage door is installed correctly and working seamlessly, without error. We install all types of garage doors, from residential to commercial. If you’re looking for a new garage door or to replace an existing one, look no further. Shop our garage door catalog, or Contact Parker Garage Doors today to explore your options and get a free estimate! Remember to always think safety first! Maintaining your garage door throughout the year will not only keep things safe, but also help you avoid major repair costs. Don’t wait until it is too late or it’s an emergency. Regular maintenance and tune ups will help keep your garage door and your pockets healthy. PGD offers tune up services that are performed by trained professionals. Our tune ups will help identify issues or any signs of wear and tear, before you have a garage that breaks down on you. Call (602) 870-9848 for more information now! Transforming your carport into a garage can provide many benefits, from secure storage space, to a protected place to park your car and an increase in property value. PGD can walk you through the entire process of converting your carport into a complete garage, while meeting your requirements and staying within budget. From the extra space to the added security, there are plenty of benefits to turning your carport into a garage. Have questions? Contact us for today to learn more about or to get a free estimate on your carport conversion. Parker Garage Doors and More services all areas of Phoenix, Lake Havasu, and Parker, Arizona. We are family owned and have been in business since 1998. We take pride in the services we offer and are commitment to delivering the very best!